Mid-Century modern design with straight edge and clean lines. Felt lined top drawers. Dark mango finish. Metal extension drawer glides. English dovetail front & back. Antique bronze finish hardware. Poplar, mango veneer and select woods. 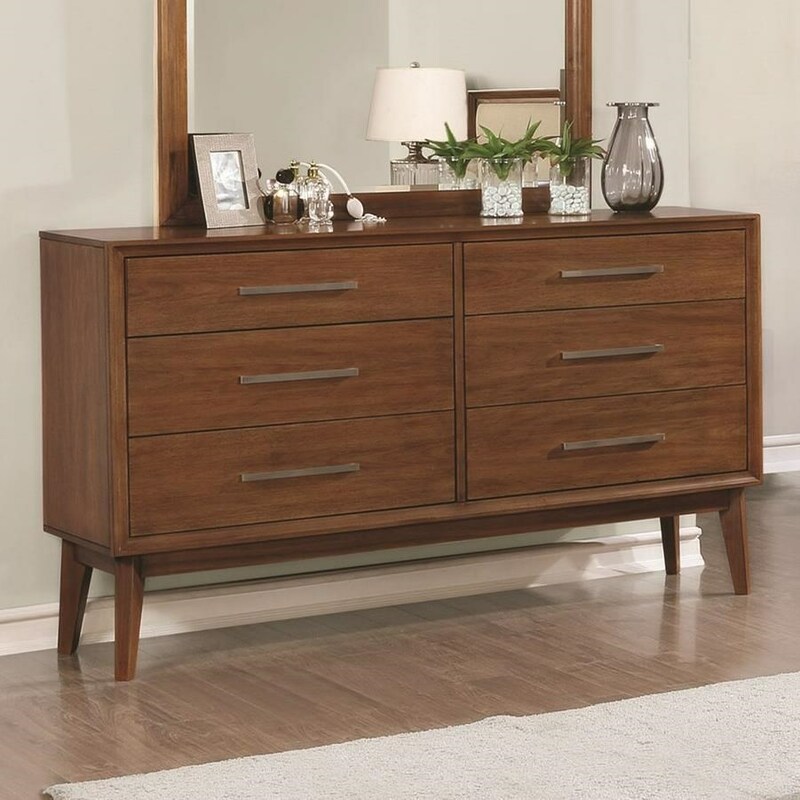 The Banning Mid-Century 6 Drawer Dresser by Coaster from Nashco Furniture - Nashville. We proudly serve the Nashville, Franklin, Brentwood, Clarksville, Green Hills, Davidson County, Williamson County, Tennessee area. Product availability may vary. Contact us for the most current availability on this product. Browse other items in the Banning collection from Nashco Furniture - Nashville in the Nashville, Franklin, Brentwood, Clarksville, Green Hills, Davidson County, Williamson County, Tennessee area.